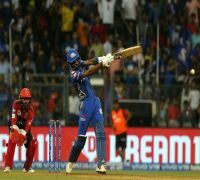 Dinesh Karthik might have been picked as a back-up wicketkeeper for the World Cup but mentor Abhishek Nayar feels the Tamil Nadu cricketer can play the role of an opener, a finisher or a specialist no 4 for India in England. MSK Prasad led selection committee on Monday picked allrounder Vijay Shankar for the no 4 spot and made it clear that the second wicket-keeper will come into play only if Mahendra Singh Dhoni is injured. However, Nayar said Karthik could be India's answer for the debatable No 4 spot and can even open if needed. "He can play a Kedar Jadhav finisher's role to a No 4 batsman's role if needed. He can even open if needed," Nayar, who's credited for resurrecting Karthik's career, told PTI from Mumbai. "Being a good fielder adds that value. Of course, he's back-up wicketkeeper, but I'm pretty sure that the management will look at him as a specialist batsman if someone is slightly out of form. "You never know what opportunities this game can bring to you. For his point of view, it's about being just prepared and being ready for that opportunity so that when it comes he grabs it with both hands. "Nayar, who is also the mentor of Kolkata Knight Riders, had missed being with Karthik on the selection day but the KKR skipper made it a point to call him and pay his "gratitude". "He was full of gratitude and spoke about the time when we got together three years ago. We were thinking about those days, not knowing where his career was going. So now being part of the World Cup is really special for someone like him," Nayar said. His career at the crossroads, Karthik had sought the help of Nayar in 2016 after he scored only 355 runs in 12 innings with only one hundred at an average of 32 in the previous season. Thus began a mentor-pupil relationship, which resurrected his career and helped Karthik to be in contention for the World Cup. But just two months back, the MSK Prasad led selection committee ignored him in the ODI series against Australia which was India's final dress rehearsal before the World Cup, making it clear that Rishabh Pant was their choice for the second wicket-keeper's spot. "Giving up was not in our dictionary. We never believed in giving up. The day we gave up is the day we stop playing cricket," Nayar said. "When that happened we were very clear in mind that, going forward, we need to focus on becoming a better cricketer. Focus on continuing the form that he had for the past three years. "That has been the main focus. The selection was not in our hands. 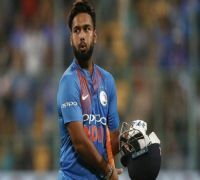 He always tried to control the 'controllable' which was the preparation," he said as Karthik finally made it to the squad ahead of Pant on Monday. "Not every day you see someone making so much of sacrifices to achieve not knowing whether you will achieve or not. The whole goal was to try and become the best cricketer that he can be. "...regardless of the outcome of him getting selected or not selected, the process that we followed in terms of preparation working on his mental ability has been very constant. " The KKR Academy in the past year has been very helpful in making sure he gets the preparation required. "Karthik is incidentally the seniormost member of the side, having debuted ahead of Dhoni both in Test and ODI formats. "We all have seen the change in DK (Karthik). How calm he is in terms of handling pressure. There has been a huge evolution after becoming the captain of KKR. That has been the major change in DK's career." On Karthik's recent runless form, Nayar said: "There's no area of concern, he's batting well. It's about capitalising those last two-three overs. In this break, he will come back and pick up those 30-40 quick runs in the last over which he's very good at." For him KKR matters a lot, though the World Cup selection was really important. It's one thing he's committed to and makes sure that he gives his best no matter what. "There will be a certain level of happiness, I would not say satisfaction. But the determination to make sure KKR does well has always been there," Nayar concluded.